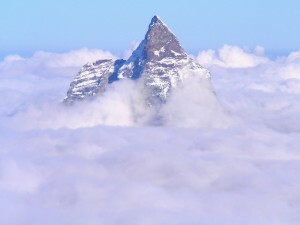 The HIGHCARE-ALPS in 2006 aimed to explore the effects of selective and non-selective beta-blockade on cardiovascular control during exposure to high altitude hypobaric hypoxia. The most evident physiological response to sympathetic hyperactivity observed at high altitude is the increase in heart rate, whereas contrasting data on blood pressure changes have been reported. In the cardiovascular drug family, blockers of beta-adrenergic receptors are commonly prescribed in conditions characterized by an enhanced sympathetic activity, such as chronic heart failure and hypertension. However no study had ever been done on the effects of beta-blockers currently used in clinical practice on 24-h blood pressure and heart rate, and on their safety, when sympathetic activity is increased compared to the sea level, because of high altitude exposure. Such a comparison is of particular interest since exposure to high altitude mimics some physiological features of patients with chronic heart failure associated with respiratory disorders, or with hypertension associated with obstructive sleep apnoea. Moreover, also in a normoxic environment, treatment with β-blockers, either nonselective or selective is known to decrease exercise capacity in healthy subjects. β-blockers may also impair exercise performance by affecting ventilation control, mitochondrial function, and lung gas diffusion, so that investigating the effects of these drugs on exercise in hypoxic conditions may be clinically relevant. Our aim has been to investigate, in healthy subjects, the effects of two pharmacologically different second-generation beta-blockers (carvedilol, nonselective, and nebivolol, highly β1-selective) on blood pressure and heart rate control over 24 hours and on cardiorespiratory responses to exercise during high altitude hypobaric hypoxia exposure. Healthy volunteers enrolled in study were randomized to placebo, carvedilol 25 mg BID or nebivolol 5 mg OD at sea level and at high altitude (Capanna Regina Margherita on the Italian Alps, 4559 m). Enrolled subjects underwent conventional heart rate and blood pressure measurement, 24-h ambulatory blood pressure monitoring and cardiopulmonary exercise test on three occasions: at sea level, before randomization; at sea level, on treatment; at high altitude, on treatment. - exercise performance was better preserved with nebivolol than with carvedilol under acute exposure to high altitude hypoxia in healthy subjects (peak VO2 was better preserved with nebivolol than with carvedilol; peak HR decreased with carvedilol more than with nebivolol; peak minute ventilation decreased with carvedilol and increased with nebivolol.